DrAdegbolaOladeleDauda was born at Ibadan, Oyo State on 6th August, 1973. He attended Abadina Primary School andAbadina College, University of Ibadan, Oyo State for his primary and secondary education. 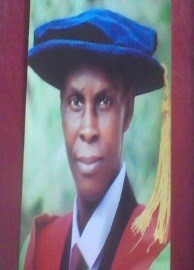 He later proceeded to University of Ibadan Bachelor, Master and Doctor of Philosophy degree programmes. Before joining the service of University of Ilorin on 16th July, 2015, he worked lastwith the University of Ibadan, UI, Ibadan (2005-2015) and served in various capacities until he attained the position of Principal Assistant Secretary. He is happily married with children.